Many people enjoy a great looking lawn and garden but it is not always easy to find the time and maintain equipment. Well-trimmed grass, manicured shrubs, and healthy thriving plants are just a few qualities that people look for in a perfectly maintained garden. No doubt, achieving such a beautiful lawn requires a considerable amount of time and effort. Homeowners must be up to the challenge of not only mowing their lawns regularly, but also making sure that they are doing it the right way and with the right tools. 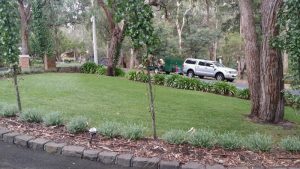 Why do all these on your own when you can seek help from experienced professionals from Acre Lawns, local lawn mowing Templestowe and surrounding areas? Let us be the ones to help you achieve a great looking lawn. There are many different aspects to maintaining a healthy lawn. At Acre Lawns Templestowe we have extensive knowledge and experience to ensure you lawn is given the best chance to thrive. All our lawn mowing service quotes include lawn mowing, edging and blowing. One of the most important things of lawn mowing services is to ensure the right equipment is used and well maintained. 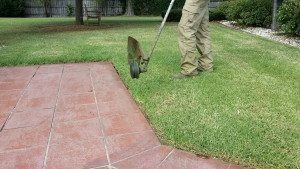 Many lawns are different and need to be cut at the appropriate height. By cutting too low, it may impact on root development and prevent you from having the lush green lawn you have always wanted. Another important aspect of maintaining and beautiful lawn is fertilizing. The easiest and most affordable fertilizer is by mulching your lawn which we encourage you to do. When done correctly and with the right equipment, your lawn will look great. On top of this, we can help create a program to rejuvenate your lawn and keep it looking its best. Watering during the coolest part of the day. Morning is often the best. Most lawns will require watering from October through to the end of summer. We offer our domestic and commercial lawn mowing services throughout the areas of Balwyn, Balwyn North, Blackburn , Box Hill, Box Hill North, Bulleen, Doncaster, Doncaster East, Donvale, Mitcham, Mont Albert, Nunawading, Park Orchards, Templestowe and Templestowe Lower. Contact us for a free no obligation quote so we can help you with all your lawn mowing needs. I would like to thank and highly recommend Eric and his crew. Not only is he reliable but also knowledgeable in all aspects of Garden Maintenance. Very Responsive and accomodating, high quality of work highly recommended. Thank you and Happy New Year. All the best for 2017!